I fell in love with Krakow when I was teaching English in central Europe from 2002–2004. Part of it was the timing of my first visit. In Prague, where I was living, the Soviet-era project of state-sponsored atheism was largely successful. In Krakow, the Catholic Church had resisted the story told by communism, insisting instead that religion was not something that could be banished to the private sphere and that all humans had inherent dignity by virtue of their being created in God’s image. So when I arrived during Holy Week of 2003, the festive and loving atmosphere in Krakow helped to bring about the spiritual refreshment I needed. Even though I am not a Catholic, the city had such an impact on me that I returned about six months later. On that visit, my curiosity about the city led me to buy a biography of John Paul II in a bookstore on the main square. John Paul II had been the archbishop of Krakow when he was elected pope, and I wanted to learn more about the relationship between the man and the city. I wish that City of Saints: A Pilgrimage to John Paul II’s Krakow had been available then. George Weigel, the author of Witness to Hope, a massive biography of John Paul II, has written (along with Carrie Gress and Stephen Weigel) a wonderful introduction to the city and its surrounding area that focuses on sites that are important to the life of Karol Wojtyla, the man who would become pope. The book is more of a hagiography than a biography; it is written for pilgrims who are looking for edification rather than those who are merely interested in gathering facts. The chapters progress roughly chronologically according to the life of John Paul II; they begin in Wadowice, the small town outside Krakow where he was raised, and end in Zakopane, the town in the Tatras Mountains where a church was built in 1997 out of gratitude for his surviving an assassination attempt 16 years earlier. Each chapter comes in two parts: First, Weigel writes about the significance of a particular place for the life of John Paul II; then, Carrie Gress gives more historical information about the place. Throughout, Stephen Weigel’s black-and-white photographs show what each place looks like; the only color photos are in the middle. The older I get, the less interested I am in traveling to various places just to have fun and see interesting sights—I am more interested in pilgrimages. Of course, as a Protestant, I have a different idea of pilgrimage than many Catholics might. My idea of pilgrimages is less about going to places that are regarded as “holy” and more about going to places that have particular significance in world history or in my own history. In that sense, I do agree with Weigel when he writes that “read as His-story, history comes into focus as the history of salvation: a history that begins not with randomness but with purpose; a history that ends not with oblivion but with a great, cosmic, eternal party, the Wedding Feast of the Lamb, described in the twenty-first chapter of the book of Revelation” (117). While I might question whether there are particular places that should be regarded as holier than others, I agree that traveling to and reflecting in particular places can foster a greater understanding of and connection to the salvation history that lies behind and within world history. When I was a kid my parents once took me to the Biltmore, the enormous estate built by George W. Vanderbilt outside Asheville, NC. I didn’t know it then, but Vanderbilt’s fortune came primarily from railroads, and it began with his grandfather, Cornelius. I just finished reading a biography of Cornelius, The First Tycoon by T. J. Stiles, which won the 2010 Pulitzer Prize in biography. What makes this book so fascinating (and long) is that it is not just the biography of one man. It is the story of the transition in the United States from a largely rural nation to a largely urban one, from a patrician social structure to an egalitarian one, and from a mercantile economy to a capitalist one that featured less state regulation. In this transition, Cornelius Vanderbilt (1794–1877) emerged as the king of the self-made capitalists. Stiles makes the connection between Vanderbilt and the changes in his country explicit: “He had always existed in curious synchronization with the republic, living the larger struggles of the day in pursuit of his selfish interests. In his youth, he had helped to throw down the culture of deference, with its aristocratic privileges and mercantilist policies. He had risen to wealth and power by battling monopolies on the primary lanes of commerce as he vocally championed competitive individualism. Now [in 1848] he was coming to embody the rise of corporations in his railroad directorships and presidency of the Stonington [Railroad]. He worked toward a kind of synthesis between competition and incorporation that reflected gradual changes in the nation’s culture” (159). Vanderbilt started out running a ferry between his native Staten Island and Manhattan, and he spent his entire career in transportation, moving from sailboats to steamboats and finally (at age 70) to railroads. Early on, he was shaped by the populist rhetoric of President Andrew Jackson: “He envisioned his own career—his mission—in terms of a coherent philosophy: Jacksonian laissez-faire. . . . Vanderbilt had come of age in a society in which government intervention in the economy was seen as assistance for the elite” (263). But as Vanderbilt grew more prosperous and powerful, he continued to see himself as the little guy, fighting against entrenched elites. The irony is that by the end of his career, he had made it much more difficult for people just starting out to do what he himself had done. But he never acknowledged this, and expected everyone to make their own way just like him: “The world in which he had made himself—the world that gave rise to these individualistic, laissez-faire values—was beginning to disappear, thanks in part to his own success. He helped create enterprises on a scale never seen before in the United States. Small proprietors could not compete against him” (263). He started out by railing against state monopolies, and ended by commanding huge corporations that gave him the power to rival the state: “He became the establishment against which populists armed themselves with government regulation” (6). As a businessman, Vanderbilt created a culture in his companies that emphasized “efficiency, frugality, and diligence, as well as swift retribution for dishonesty or sloth” (404). This discipline enabled him to win wars with his competitors, but it came at a cost—or rather, it didn’t in at least one sense, since “he earned his reputation for keeping costs low in part by paying his workers as little as possible” (323). Vanderbilt comes across as a complicated man. He wasn’t quite the “robber baron” that he was accused of being, but neither was he a particularly kind or public-spirited guy. He was a hardheaded pragmatist who said at one point, “I have always served the public to the best of my ability. Why? Because, like every other man, it is to my interest to do so, and to put them to as little inconvenience as possible” (435). He only really comes out well in comparison with his contemporaries, some of whom were (unlike Vanderbilt) regular churchgoers who didn’t hesitate to engage in unethical behavior for the sake of money or power. As far as vices go, Vanderbilt may have been proud, but it seems he wasn’t greedy as well. At least during his railroad years, he generally started out by being diplomatic with competitors, and only later would he move through progressive stages of “defensive battle, acquisition, reform, consolidation” (398). But once he got to the stage where he was willing to fight, he was determined to win, and he usually did. The great value of this biography is not in presenting an inspiring hero; Vanderbilt was no such thing. But it does tell part of the story of how the American business world got to where it is today, and it is a worthwhile read for that alone. Also, did you know that Vanderbilt University is named after him because he donated a boatload of money (pun INTENDED) at its founding? 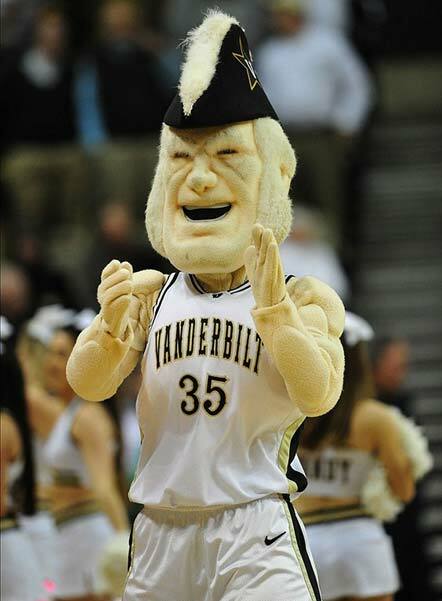 Or that its sports teams are called the Commodores because that was Vanderbilt’s nickname? Or that the mascot kinda sorta resembles him, at least sideburns-wise? Today is the 70th anniversary of VE Day, the day Germany surrendered and ended World War II in Europe. It has put me in a reflective mood, since my grandfather, who passed away last September, was in Europe that day. He was in Lippstadt, Germany, a few days away from turning 21 years old. Grandpa loved to tell stories of his time in the service during World War II, and his family loved to hear them. When I was in Grand Rapids for his memorial service, I pulled out one of his books about the war, Stephen Ambrose’s Citizen Soldiers. 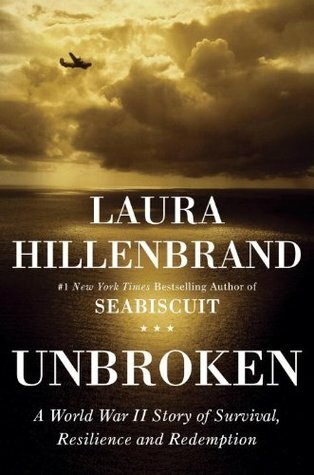 I found that he had occasionally underlined and written notes on events in the book that he had a personal connection to, particularly those having to do with Operation Cobra toward the end of July, 1944. I was on guard duty at our airfield as the sun came up one morning probably around the middle to the end of July 1944 when I heard the drone of bombers coming from England. There were probably about 150 planes in each separate formation. They flew over all day about 10,000 sorties in all. They were dropping bombs on the German divisions that were inland about 10 to 20 miles from the Normandy beaches. These divisions were blocking our ground forces who were trying to advance into France and unto Paris. 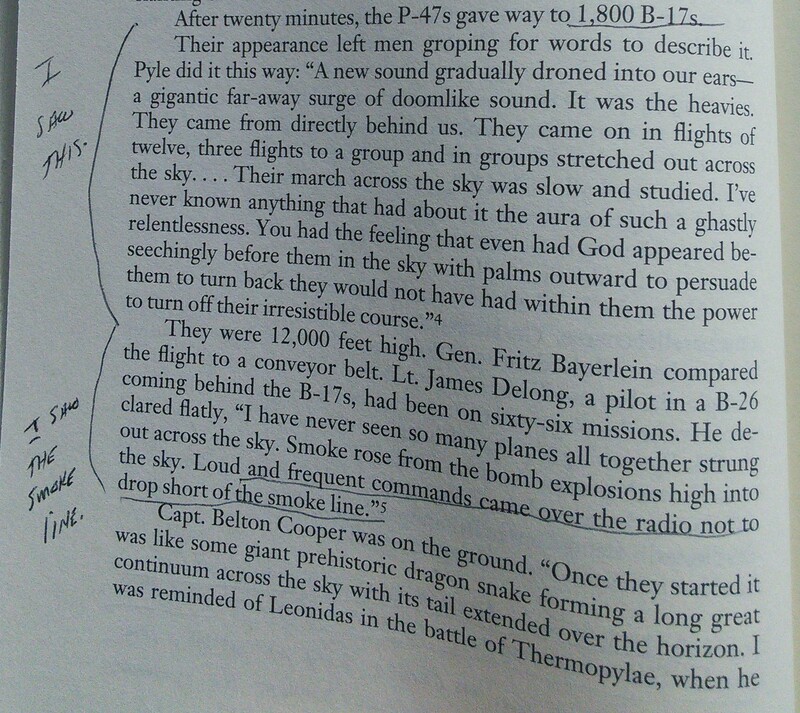 I could see the smoke bombs and flares launched by Allied artillery to pinpoint where the front lines were. This enabled the Allied bombers to avoid our forces and drop their bombs on the German forces. The wind however carried some of the smoke back over into the Allied lines and caused our bombers to drop explosives on our troops. The commanding general at the front line of the battle was General McNair. A misplaced bomb killed him that day. A few weeks later I stood at General McNair’s grave in the American cemetery a short way in from the Normandy beach. A small wooden temporary cross listed his name only, not that he was the commanding general. In death he was the same as all of the soldiers he commanded. I’m thankful that my grandpa loved telling his story. Even from the way these notes are written, it seems to me that he wanted other people to see them. I know that, for one reason or another, many people don’t like telling their stories, especially the parts that are painful to them. My grandpa’s love for telling his own stories serves as a reminder to me that people’s stories are valuable. They help make sense of the world, help other people feel like they are not alone, and especially in my grandpa’s case, help to testify to God’s goodness. It was the author, rather than the subject matter, that drew me to Convenient Myths: The Axial Age, Dark Green Religion, and the World That Never Was. In fact, I had never heard of the “axial age” or “dark green religion” before reading this book. I was, however, familiar with Iain Provan. I studied at Regent College, where he teaches, and I found him to be one of the most careful, nuanced thinkers I had ever met. If he decided that a subject was worth writing about, I knew it was going to be good. Although the specific subject matter was new to me, the broader issue of reconstructing the past so it is more useful for present purposes is not. I see this frequently when it comes to the history of the United States. There are some Christians who emphasize the role of faith (and specifically Christianity) in the founding and early history of the country. The implication is that in order to get back to “what the founders intended,” the advance of secularism in public life needs to be reversed: we need to display the Ten Commandments in courthouses, pray in schools, teach history in a certain way, etc. There are, on the other hand, secularists who seek to downplay the role of faith in the country’s history: pointing out, for example, that God is not mentioned in the constitution and that there has never been a religious test for office in national government. The implication is that in order to get back to “what the founders intended,” government needs to be separated from religion. I have written before about this issue in my review of a DVD curriculum called the Truth Project. I will sum up my thinking here: treating history as a tool to advance a present agenda amounts to a failure to love our dead neighbors. That is part of Provan’s argument as well. In chapter 1, he introduces readers to Karl Jaspers’s theory of the “axial age” (800–200 BCE), which Jaspers called “the most crucial turning point in history; it was then that man as he is today was born” (8). In this age, despite the differences in the religions that emerged, humanity had a unifying goal of self-transcendence. Jaspers’s theory has been advanced more recently by people like Ewert Cousins, and popularized by the likes of John Hick and Karen Armstrong. In chapters 2 and 3, Provan points out some criticisms of this theory and argues that, based on historical data, there never was such a thing as the axial age. It ignores or twists too much data that go against it, and the theory should be abandoned. In chapter 4, Provan shifts to talking about the “dark green golden age.” This was a much earlier age filled with “dark green religion,” which, according to Bron Taylor, refers to “religion that considers nature to be sacred, imbued with intrinsic value, and worthy of reverent care” (44). This idea (and the idea that this is something we need to return to) is promoted by people like David Suzuki and Derrick Jensen. 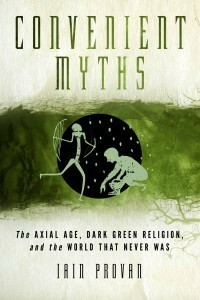 Just as with the axial age, Provan takes two chapters (5 and 6) to argue that there in fact never was such an age of dark green religion, based on historical and anthropological data. He writes, “We have never lived in a world in which people manage and take care of their environments, making sure that they never misuse or overexploit anything and consequently enjoying a world in which there is plenty for everyone” (66). Chapter 7 is the turning point of the book. In it, Provan explores the question why so many well-meaning people have believed two theories that are so clearly lacking in historical truth: “The answer, I believe, is that they need to be true if the past is to be useful to advocates in pursuit of a particular understanding of our present moment and a particular vision of the future” (85). He goes on in chapter 8 to give a (very) brief overview of ancient history, emphasizing the ways in which it deviates from the axial and dark green accounts. The next chapter contains some specific ways in which axial age and dark green religion advocates have misused Provan’s own area of professional knowledge: the Hebrew Bible, or Old Testament. He concludes in a final chapter: “The mythmakers behind the myths of the axial age and the dark green golden age do violence to the ancient religions and philosophies they claim to describe. They do so in the course of distorting the past in general. This is problematic in terms of ethics. It matters, because it is morally wrong. We should not disrespect the past or the peoples of the past. We have a duty to tell the truth” (121). Convenient Myths is brief (just 127 pages, not including endnotes), but it has the potential to do a lot of good. This is not a hatchet job; he has many positive things to say. Throughout, Provan is deeply sympathetic to many of the goals held by advocates of the axial age and dark green religion. He, too, wants to live in a world that is more compassionate. He, too, wants to live in a world in which humans take care of their environment. However, he argues that the ends do not justify the means. This is an important book to read, not just for those who are tempted to believe in the axial age or dark green golden age, but for any people who are tempted to disrespect their dead neighbors by distorting history to pursue a present agenda. Update: The book launch lecture for this book,”Reading Culture: The War of Myths and the Mission of the Church,” is available FREE (as of this writing) here. Note: Thanks to Baylor University Press for a copy of this book in exchange for an honest review. This history book has a history. 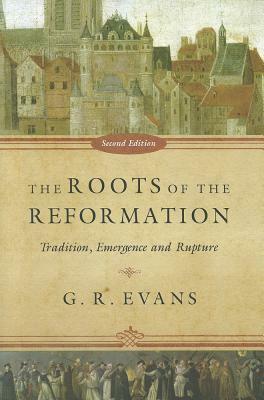 The first edition of Roots of the Reformation: Tradition, Emergence, and Rupture was published in the spring of 2012. In May of that year, historian Carl R. Trueman wrote a review of the book that pointed out several factual errors in the portion of the book that covers the Reformation. The following month (as pointed out by Trueman), the publisher, InterVarsity Press, acknowledged the errors and pulled the first edition (you can see here that Amazon no longer sells it). To its credit, IVP ceased publication of the first edition of this volume shortly after its release when it was brought to the company’s attention through scholarly reviews (especially the online review of Professor Carl Trueman) that it contained an embarrassingly high number of inconsistencies, mostly inaccuracies of names and dates. In response, a press release was issued stating that the “text did not represent the academic standards we as a publisher hold ourselves to, and we decided to take full responsibility for them.” Well done, IVP! As a result, the following review is far more positive than the original version. But a bad reputation is hard to shake. There are two comments on this Books and Culture review. The first is someone, clearly lacking in reading comprehension, who says that the book has “been pulled from the shelf due to many factual and historical errors.” The second is me pointing out to this commenter that even a cursory reading of the review would show him that it is of the second edition. Seriously. Some people can’t wait to spread negativity. Considering this backstory, the main question to address is, “Are the errors corrected?” The answer is yes, as far as I can tell. It was difficult to find all of Trueman’s references, since the new edition has different page numbers, but the ones I was able to find were indeed corrected. I was able to find a few typos, but that is not terribly unusual for a book of this length (480 pages, including indices). The most egregious one was on page 351, where there is an italicized heading, The Bishops’ Bible and the Authorized Version, followed by a space and a different heading. I imagine that, in light of Trueman’s criticism that so much space was devoted to the King James [Authorized] Version, this section was excised, but the heading was mistakenly left. The further question is, “Is this book worth reading?” The answer is a more confident yes. Evans is a medieval historian, and so is on solid footing when she is dealing with the period leading up to the Reformation. The book comes in three parts: the first is organized largely topically, and deals with the germination of several areas of questioning during the first centuries of the Christian era. The second deals with medieval developments, such as universities, the growth of monasticism, and the stirrings of reform. The third deals with the Reformation and its aftermath. The Lutherans and the Reformed, not surprisingly, get the most scrutiny, but space is also given to the Anabaptists, the English Reformation, and the Counter-Reformation. Evans closes the book with a reconsideration of some of the questions dealt with in the first part, showing how those questions were answered (or explored in different ways) in the Reformation and post-Reformation. In all, this is a good read for someone (especially a Protestant) who is interested in the connection between the Middle Ages and the Reformation. I have been hooked on Rodney Stark’s writing since I read his The Rise of Christianity in college. Stark is a sociologist by training, and that book was his first foray into writing about the history of Christianity from a sociological perspective. What I appreciated about that book, and all of his books that I have read since then, was his data-driven approach, lively and clear writing style, and contrarian streak. Maybe it is because he works as a professor in the social sciences, a guild in which it is popular to see all religion as a social phenomenon and nothing more, but Stark seems to relish thumbing his nose at the “conventional wisdom” of the sociology of religion—especially Christianity. • The popularity of Oriental religions (in addition to Judaism) in the Roman Empire paved the way for the spread of Christianity. • In spite of some anecdotal evidence, the early Christian mission to Diaspora Jews was largely successful. • Most early Christians did not come from the ranks of the economically downtrodden, but from the upper classes. • It would have been better for Christianity if Constantine had not become a Christian. • Paganism was not stamped out by post-Constantinian Christians, but survived for centuries afterward and slowly died out or was incorporated into popular Christian practice. • “The Crusades were not unprovoked,” and “were not conducted for land, loot, or converts” (234). • The idea that there was “warfare” between Christianity and science is a later fabrication. In fact, Christianity was essential to the scientific revolution. • The Spanish Inquisition was not as cruel, and not as widespread, as it is often made out to be. As with any overview, there is some oversimplification. And even readers who largely agree with Stark’s premises, like myself, will find things that they disagree with. But overall, this is a highly readable and entertaining 30,000-foot overview of the history of Christianity. I recommend it. If anyone at HarperOne is reading this, you know what to do. The rates for my work are quite reasonable, and the quality is no doubt higher than what you are getting now. With 2012 being a presidential election year, politics is constantly in the news. One perennial question is what role evangelical Christians will play. But who are evangelicals, and how did they come to occupy the role they do in American politics? Kenneth J. Collins presents his readers with a historical survey that answers that question, focusing on evangelicals’ pursuit of political power since the late 19th century. Collins is a professor of historical theology at Asbury Theological Seminary, an evangelical school from the Wesleyan tradition. The book comes in six chapters, which mostly follow chronological order. In the first chapter, Collins looks at the rise of fundamentalism in the early 20th century. He discusses factors that led to the decline of Protestant Christianity’s public voice starting in the late 19th century, including Darwinism and higher criticism of the Bible. In the second chapter, Collins narrates the growth of fundamentalism and neo-evangelicalism from the ’30s through the ’50s. In the third, he describes the turbulent ’60s and the influence of the Religious Right from the ’70s to the ’90s. The fourth chapter brings a break from Collins’ chronological march, in which he looks at two of evangelicalism’s responses to Darwinism: theistic evolution and intelligent design. In the fifth chapter, he looks at the rise of the evangelical left, focusing particularly on the careers of Jim Wallis, Tony Campolo, Brian McLaren and Jimmy Carter. He also includes a discussion of the Manhattan Declaration, an attempt at nonpartisanship that was received tepidly by the evangelical left. In the first pages of chapter six, called “Beyond Ideology,” Collins brings an end to his historical survey with the rise of Barack Obama. He then argues that evangelicals’ desire for power has prompted them to restrict their public voice to an exclusively political idiom, leading to disastrous results. His positive proposal is for evangelicals not to abandon politics altogether, but to craft an evangelical political philosophy that is informed by Scripture and natural law, and is wary of being co-opted by the non-Christian ideologies of the right or the left. This book is a well-done survey of evangelicalism’s involvement in American politics for the reader who wants to place current political debates in their historical context. I have read other accounts of American evangelical political involvement, and this one stands out for two reasons: first, Collins includes discussions of the Wesleyan/Holiness/Pentecostal stream of evangelicalism, which has sometimes been left out or given short shrift. Second, he depicts the rise of the evangelical left, which is not narrated in older historical accounts of American evangelicalism. Readers who are already familiar with the history of American evangelicalism will not find a lot that is new in the first 100 pages or so, but the latter part of the book makes it worth reading even if you have some familiarity with that history. I especially recommend it for those who have interest in, but little or no knowledge of, the history of evangelical political involvement in the United States. Note: Thanks to InterVarsity Press for a review copy. We Americans love to talk about freedom. We call ourselves “the land of the free”; our Declaration of Independence talks about liberty as an “inalienable right”; there are still few things that can get an American riled up like the threat of a loss of freedom. But our freedom is in jeopardy, says Os Guinness in his new book, A Free People’s Suicide: Sustainable Freedom and the American Future (there is a very good three part interview with Guinness by Timothy Dalrymple). Guinness doesn’t find the primary threat to our freedom in an external source, like another nation, or even “big government” or “big business” or special interests. No, the enemy is us. Freedom cannot be won for all time and then left alone; it needs to be sustained. And, Guinness writes, Americans are failing to sustain the freedom our nation’s founders worked so hard to win: “The problem is not wolves at the door but termites in the floor. Powerful free people die only by their own hand, and free people have no one to blame but themselves” (37). The vision of freedom we Americans are pursuing is “short-lived and suicidal” (29). The problem with our vision of freedom is that the freedom we love to talk about and claim for ourselves focuses exclusively on freedom from external constraints. There are two kinds of freedom: freedom from constraint (negative freedom) and freedom for cultivating virtue and becoming the people we ought to be (positive freedom). Modern Americans are only interested in negative freedom. We claim rights and entitlements for ourselves, but do not care about duty, virtue, character, or pursuing excellence. Negative freedom alone is unsustainable. Freedom from external restraint, without self-restraint, undermines itself. What can be done? Guinness argues that we need to return to the founders’ vision of freedom, which he calls the “Golden Triangle of Freedom.” He demonstrates that the founders did not have a vision of freedom that stopped with freedom from constraint. Rather, their vision of freedom was part of an interdependent triangle: freedom requires virtue; virtue requires faith; faith requires freedom. 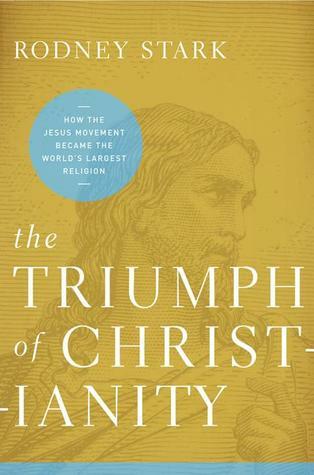 Perhaps the most controversial part of this triangle of freedom in our time is faith (Eric Metaxas wrote a good review of this book in the Christian Post focusing on this point). The point for Guinness, and I agree, is not necessarily that the founders were Christians (though some were). Rather, the point is that the founders (even the Deists) were unanimous in their approval of faith of any kind, because faith fosters virtue, and only a virtuous people can remain free. Guinness’ book is intended not just for Christians or religious people, but for all Americans who care about freedom. For that reason, I understand his arguing for faith as part of the golden triangle of freedom on pragmatic grounds (he follows the founders in adopting this tactic). Nevertheless, I think his argument ought to have particular force for Christians. The Bible also understands freedom as not merely freedom from constraint. Seven times in the book of Exodus, God (through Moses) says, “Let my people go so that they may serve me.” (Exod 5:1; 7:16; 8:1, 20; 9:1, 13; 10:3). Jesus said, “If the Son sets you free, you will be free indeed” (John 8:36), but he also said, “Take my yoke upon you” (Matt 11:29). One of the earliest Christians’ favorite self-designations was “slave of Christ” (Rom 1:1; 1 Cor 7:22; Gal 1:10; Phil 1:1; Titus 1:1; Jas 1:1; 2 Pet 1:1; Jude 1; Rev 1:1). Freedom, for the Christian, can never be merely about freedom from external constraints. It begins with freedom from constraint, but doesn’t stop there. Christian freedom is not just freedom from, but freedom for: freedom to serve God and others. From a Christian perspective, those who begin by thinking freedom is merely the absence of external constraints end by becoming slaves to their own appetites: greed, lust, and desire for power. I applaud Guinness’ effort to prod Americans to do the hard work of sustaining freedom. I hope his argument gains a wide hearing. In particular, I hope his argument gains traction among Christians, who are just as prone to only care about negative freedom as anyone else, but who have the least reason for doing so.